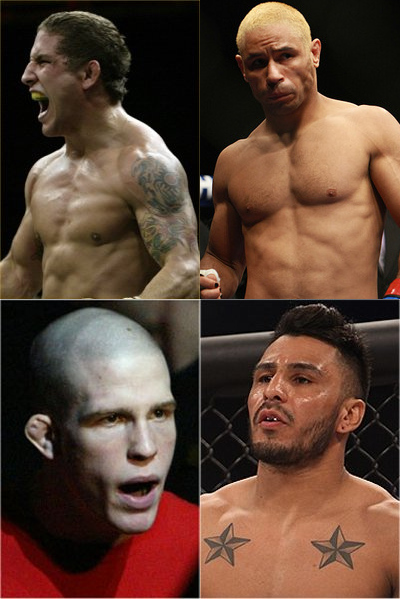 Following the UFC-WEC merger announcement, the line up for WEC 52 was all shaken up. Luckily, new bouts were added and the November 11 event is now full steam ahead. World Extreme Cagefighting has added two new bouts for its November 11 card after the UFC-WEC merger announcements. WEC 52 will take place at the Palms Casino Resort’s Pearl Theater in Las Vegas. The event will feature a co-main event pitting Chad Mendes and Javier Vasquez, in addition to a featherweight clash between Erik Koch and Francisco Rivera. Chad Mendes is currently 3-0 under the WEC banner, and is undefeated in his eight professional appearances. He is both a Palace Fighting Championship and Tachi Palace Fights veteran. Mendes holds half of his career wins by either knockout or submission. Javier Vasquez, on the other hand, has gone 2-2 since joining the WEC. Erik Koch’s defeat to Mendes at WEC 47 is his only loss since he started his career in 2007. Prior to that, he ran off nine straight victories and secured seven of it via submission. More over, Mendes has never been finished. Meanwhile, Francisco Rivera owns a perfect 5-0 record. Even more impressive, Three of those wins come by way of first-round knockout in under a minute. The WEC 52 will be headlined by Urijah Faber’s bantamweight debut versus Takeya Mizugaki. Update: The Palms, where WEC 52 is going to be held, has some great event packages in November that you guys may be interested in. There are some cool new ways to get free room upgrades & even a free nights stay at the Palms as well. You can check out the Palms WEC Special here.